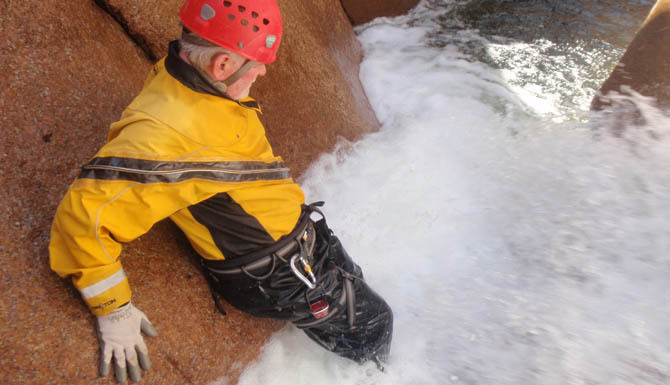 Our Grand Canyon backpacking, Arizona canyoneering and Sedona rock climbing tours will provide you with an experience of a lifetime. 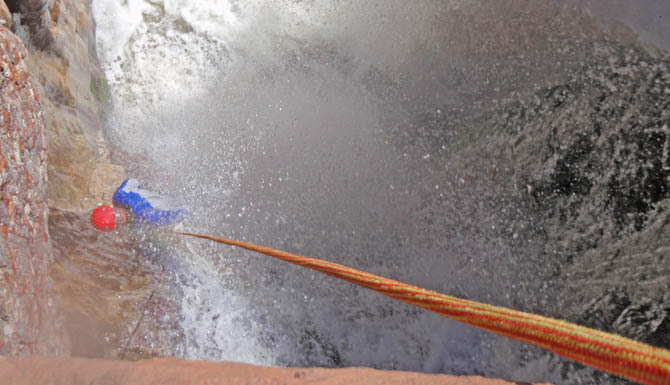 Our Grand Canyon backpacking guides live to hike and our Arizona canyoneering and climbing guides are some of the most passionate explorers around. 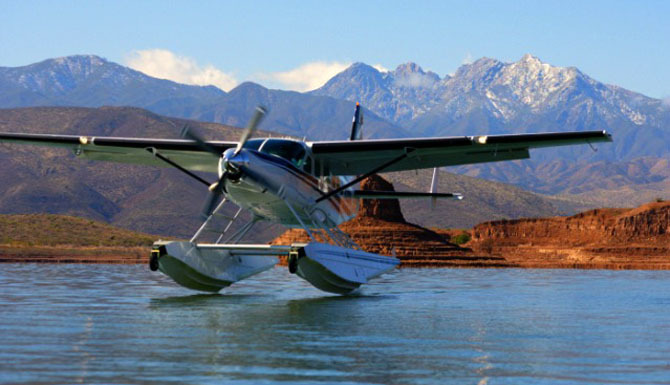 At CenterFocus we pride ourselves on our ability to provide you with a once in a lifetime trip. 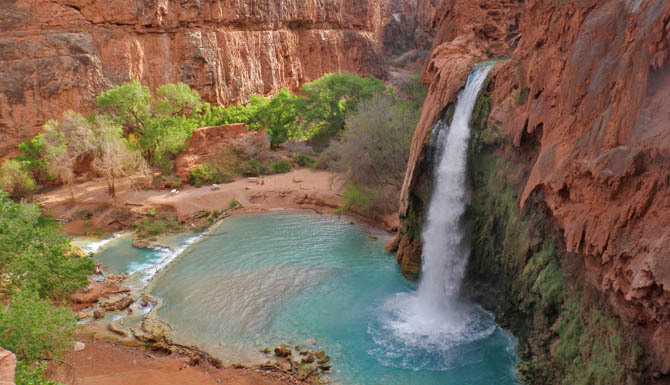 Whether it is a world class backpacking journey through Grand Canyon National Park with huge views, a relaxing trip to the blue-green waters of Havasupai where we cool off in beautiful pools, a fun filled adventure through a desert slot canyon while rappelling crystal clear waterfalls, or an exciting day of rock climbing. Our wilderness adventures provide you with memories that will last forever and that bring families and couples together through sharing an amazing experience where you do something real. A sense of actual accomplishment mixed with relaxing moments in beautiful places will give you an amazing sense of well-being helping you to feel re-energized in life. We need these moments to stay healthy in this world. Feeling that sense of happiness and calmness, empowerment, and feeling whole again are what these sorts of experiences seems to bring to our customers and ourselves as guides. Based in the Sedona, Arizona area, we are a fully insured company permitted to operate by both the US Forest Service, as well as the National Park Service. 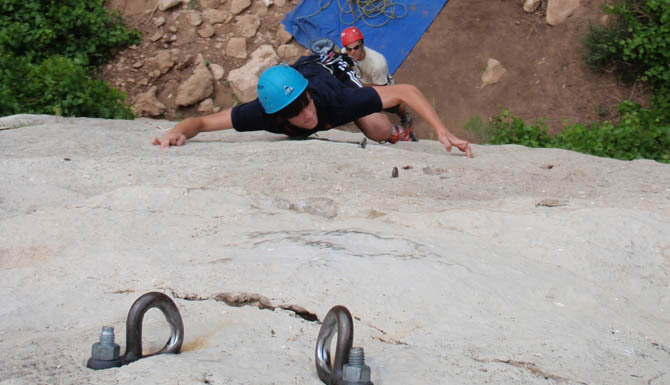 We also offer team building exercises in Sedona, Arizona. Please see our reviews on Trip Advisor or take a look at our testimonials page! 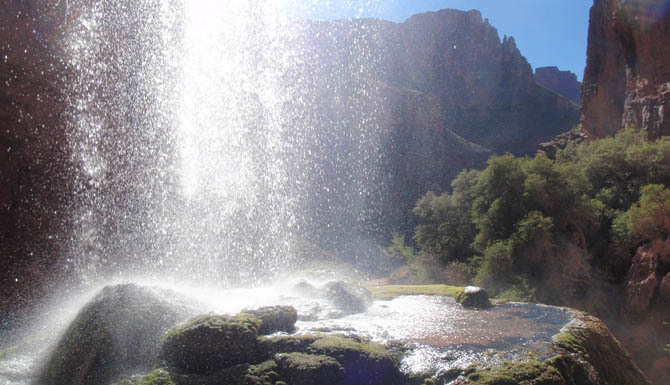 Click here to sign up for the CenterFocus Newsletter and get the inside story regarding trip discounts, helpful travel information and tips on hiking in the Grand Canyon and Sedona areas, as well as canyoneering and rock climbing.